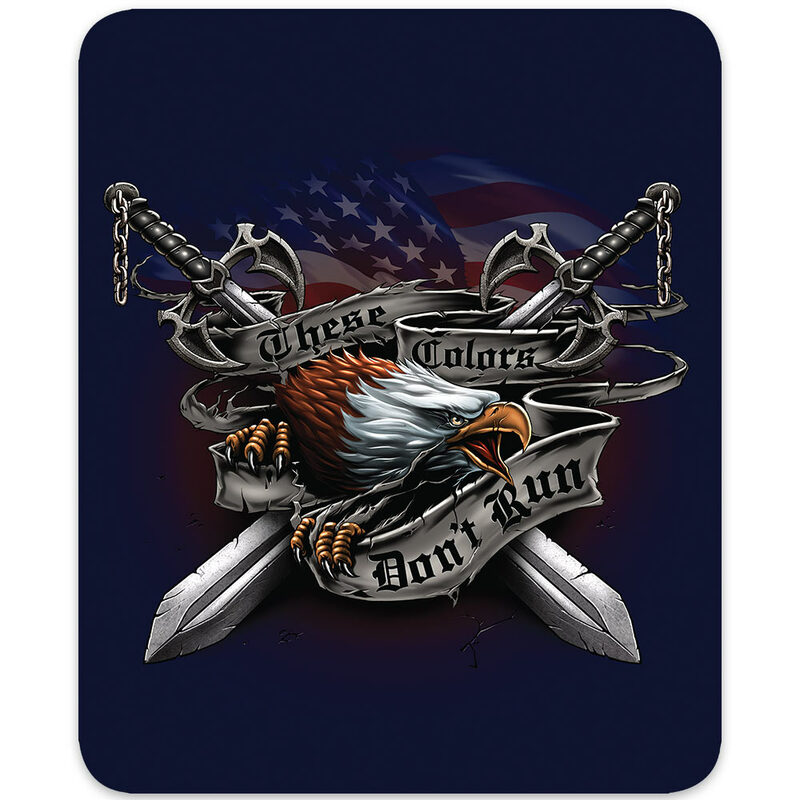 These Colors Dont Run Faux Fur Blanket | BUDK.com - Knives & Swords At The Lowest Prices! Cover yourself with this beautifully stunning medium weight soft faux fur blanket. The queen-sized, super plush blanket features a visually stunning American eagle and sword design on a background of intense Navy blue. The officially licensed design is vivid and luxurious.